After a summer-long writers’ retreat turns out to be an internet scam, Amber Wheatleigh finds herself standing beside her broken-down car on a dirt road in the Colorado foothills. When a local rancher by the name of Travis Bradley offers her a place to stay for the night, she hesitantly accepts, and before she knows it she has agreed to spend the summer cooking and cleaning for Travis and his ranch hands. Something about Travis intrigues Amber, and her interest in him is multiplied many times over upon her discovery of a diary kept by his late wife Heather before her tragic death. The diary speaks of a beautiful, deep, and lasting love, but also of a man willing to take his young wife in hand… and put her over his knee for a sound spanking. This dominant side of Travis captivates and excites Amber and she spends as much time with him as she can manage, but when he learns of her discovery of Heather’s diary his anger at Amber’s uninvited intrusion into his past threatens to end their budding romance. Desperate to win his forgiveness, Amber makes a bold request—that Travis punish her as he would have punished Heather—and he reluctantly accepts. Even as the sting of his switch still burns on her bottom, Travis knows in his heart that Amber can bring true joy into his life in a way that nothing has since Heather’s death. 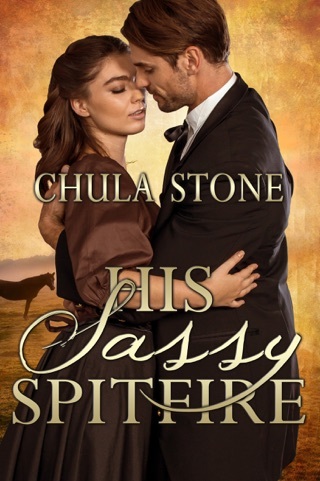 But can he let go of the past and take hold of a future with her, and can this feisty writer learn to love—and obey—her firm-handed rancher? Publisher’s Note: The Writer and the Rancher contains spankings of an adult woman, including domestic discipline in a contemporary setting. If such material offends you, please don’t buy this book.